Following the completion of the north portion of the Lochrin Basin site as student accommodation, the south section of the site is now being developed as one of the first, purpose built PRS, residential developments in Edinburgh delivered in co-ordination with the project engineers using BIM. 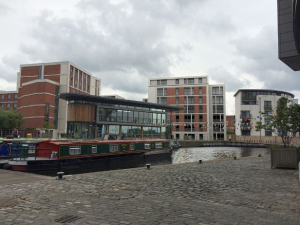 Designed to correspond with the original building, the completed development will form a new gateway to the canal basin and breathe life into a valuable brownfield site in the city centre. This scheme was fully delivered in co-ordination with the project engineers using BIM, will offer 113 private apartments, public realm, parking spaces and street level commercial spaces.